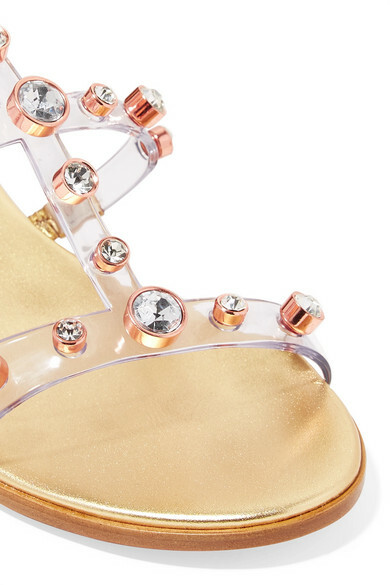 Sophia Webster's 'Dina' sandals combine two of our favorite obsessions: sparkling embellishments and transparent footwear. Made from durable vinyl, they have metallic leather trims and crystals set in rose gold bezels along the straps. The mirrored heel offers just the right amount of lift. 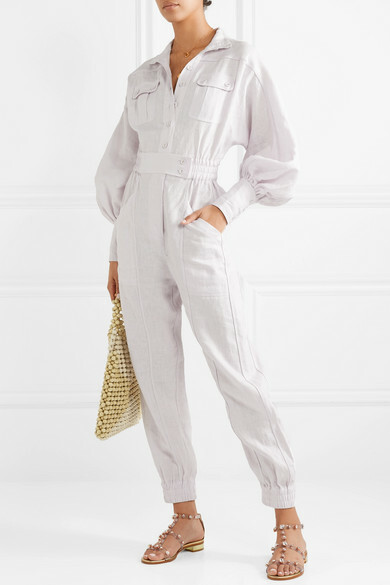 Shown here with: Zimmermann Jumpsuit, Rosantica Tote, Alighieri Necklace, Sophie Buhai Earrings, Isabel Marant Rings, Chan Luu Cuff, Sophie Buhai Cuff.